We are delighted that you are considering North Carolina Agricultural and Technical State University (NCA&T) for pursuing graduate studies. Your application and admission to graduate programs at NCA&T consists of a departmental evaluation based on your online application, recommendation letters and unofficial copies of transcripts and other materials followed by a final review of all your original documents by the Graduate College. The departmental evaluation results in a recommendation to admit or reject the application. The final review concludes with a formal notification of the final decision from the Graduate College to the applicant. Admission to a graduate program is based on a holistic evaluation of the applicant that includes the applicant’s academic qualifications, the applicant’s interest and experience relative to the program, and the capacity of the program. The applicant’s academic qualifications are judged on a number of criteria that may include grades on individual courses, overall grade point average, accreditation status of prior colleges/universities attended, standardized test scores, language proficiency, strength of recommendation letters, and additional criteria specified by the academic program. The applicant’s interest and experience relative to the program is assessed through the personal essay, history of prior research and work experience, clinical skills, and in some cases, through personal interviews. The academic program determines its capacity for admitting new students based on its current resources and enrollment of continuing students in the program. All programs require the graduate admission application, application fee, academic transcripts, personal statement and recommendation letters. 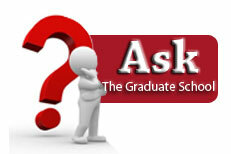 Most programs also require a personal statement and graduate test scores. Some programs have additional requirements such as an on-campus interview. See Programs for a listing of all requirements specific to each program. Please note that satisfying minimum admission requirements does not guarantee admission; admissions decisions are based on a competitive evaluation and are sometimes limited by capacity constraints. Applicants must submit electronic copies of all documents required for admission to the online application portal. As needed, test scores must be transmitted by the testing agency to the Graduate College. The final official transcripts should be the only document mailed to the Graduate College; only transcripts mailed directly from the issuing institution will be accepted. Please see below for additional details regarding admission requirements. North Carolina Agricultural and Technical State University (NCA&T) is committed to ensuring compliance with state authorization requirements that govern the offering of online degree and certificate programs and courses in other states, including complaint processes. We strongly recommend that our prospective distance education students refer to the State Authorization page to determine whether NCA&T is authorized to provide postsecondary education in your state. NCA&T will continue to monitor developments in the jurisdictions in which it enrolls students, and, if authorization or licensure is or becomes necessary, it will obtain approvals or provide notice here of the jurisdictions in which it is authorized or not authorized to offer courses or programs. If you have questions or concerns, please contact Distance Learning at (888) 498-6752 or distance@ncat.edu. The priority deadline is the date by which complete applications with all required documents must be submitted to receive priority review for merit based graduate awards and for admission to space-constrained graduate programs. While the online application, payment of application fee, and uploading of electronic copies all documents is required, original transcripts and official transmission of test scores are not necessary at this stage. Applications received after the priority deadline will be reviewed but will be considered based on availability of funds and/or space in the program. Furthermore, applications received later may not leave sufficient time for review and decision. Therefore, applicants who miss the priority deadline are strongly advised to submit completed applications as soon as possible. The priority deadline for all programs (except the MSW in Social Work) is February 1 (for fall admissions) and September 1 (for spring admissions). The MSW in Social Work program has a priority (and general) deadline of January 15 for fall and summer admissions (applications are not accepted for spring admissions). The general deadline is the date by which all application materials must be received by the Graduate College for an admission decision. The general deadlines for domestic and international applicants are listed below. Some academic programs have earlier deadlines, in which case your complete application must be submitted by the posted departmental deadline. Furthermore, some programs admit students only during specified semesters (see below). If a complete application cannot be reviewed in time for the start of the immediate academic term, it will be moved to the next available admission term. Domestic Applicants: July 1 (for fall admissions), November 1 (for spring admissions) and April 1 (for summer admissions). International Applicants: June 1 (for fall admissions) and October 1 (for spring admissions). International applicants are strongly advised to complete their application as soon as possible, preferably well before these deadlines to allow time for issuance of I-20, visa processing and international travel. International applicants are also strongly advised to submit all original documents as soon as possible after receiving notification from the Graduate College. The following programs only accept applications for fall admission: PhD in Rehabilitation Counseling & Rehabilitation Counselor Education; PhD in Leadership Studies; MSW in Social Work. Post Baccalaureate Studies (PBS): the deadline for non-degree seeking or PBS applications is August 1 for fall admissions, January 1 for spring admissions and May 1 for summer admissions. Re-enrollment: the deadline for readmission applications for those students who have been away for less than one year is August 1 for fall admissions, January 1 for spring admissions and May 1 for summer admissions. All applicants are required to submit an application fee for admission. The following categories of individuals may seek waiver by ensuring that the listed documents are emailed to the Graduate College at NCA&T. Applicants who have paid the fee without requesting a waiver will not be refunded. NCA&T Full-time permanent employees: Copy of employee application fee waiver approved by NCA&T Human Resources Benefits Representative. Applicants should submit the following documents via the online application portal as early as possible. Online application for admission to the Graduate College. The application is also accessible from the Graduate College’s website. Application fee: Non-refundable application processing fee of $60. Payment can be made in the form of a check, money order, or certified check payable to North Carolina A&T State University. Credit card payments are accepted during the application process prior to submission. Cash payments may also be made in person at the Treasurer’s Office located on the 1st Floor, Dowdy Building. If paying through the Treasurer’s Office, please send a copy of the receipt to the Graduate College. Transcripts: One unofficial copy of transcript(s)/mark sheet(s) from all colleges and universities previously attended must be uploaded on the application portal. An overall GPA of 3.0 in the bachelor's degree, a previously earned graduate degree or a GPA of 3.0 on at least 12 post-baccalaureate graduate credits is necessary (in addition to the other criteria outlined in the Graduate Catalog) for unconditional admission. Applicants with transcript(s) from US colleges/universities must upload a copy of the transcript(s). Applicants with transcripts in a language other than English: Applicants will need to have an English translation and course-by-course evaluation of their transcript(s)/mark sheet(s) performed by WES or ECE (WES.org/ECE.org) and have the agency transmit this document directly to the Graduate College. Recommendations: Three recommendations are expected. Enter required information (name, email, etc) for each recommender to allow the recommendation form to be accessible from the application portal. The recommendation form is available online once the recommender signs in to the application portal. Admissions committees prefer to see recommendations from current or former professors and/or supervisors at your place of work. Personal statement of interest in the program, as required. The statement should describe career goals, research interests and a list of publications, experience, academic honors, and organizations tailored to program of interest for review by the admission committee. Submit an acceptable score on TOEFL, IELTS or PTE. The official TOEFL score (at least 80 or higher internet-based score), or IELTS score (6.0 or higher) or PTE Academic score (53 or higher) should be submitted directly from the testing agency to the Graduate College. TOEFL, IELTS and PTE scores are reportable for a period of two years from the date of the exam. If the scores are older than two years, the student must re-take the exam. Enroll in an intensive English language training courses prior to seeking admission to a degree program. An applicant successfully completing ALA or Interlink English Level 5 requirement will have met NCA&T’s English language proficiency requirement for admission. For information on application and costs, please see http://nc.interlink.edu/ for Interlink Language Center or http://www.ala.edu/ for American Language Academy. These organizations are separate from NCA&T and they provide training in English pronunciation, grammar, writing etc. The cost of English training is billed separately and will be incurred prior to and in addition to the cost of education at NCA&T. For questions not answered by the websites, contact Interlink at (336) 334-4700 or American Language Academy at (336) 285-7318. NCAT Graduate College recognizes recent completers of a CEA-accredited language academies (http://cea-accredit.org/accredited-sites) at a level that satisfies its affiliated graduate institution’s unconditional admission language proficiency requirements. For the past five (5) years or more, the applicant has been a legal alien, a naturalized citizen, or otherwise a legal resident of the United States. Criminal background verification if requested by the Graduate College. If a background verification is required, your application is not considered complete until the background verification process has been completed. Additional requirements as indicated in Programs. Based on the information provided by the applicant and the recommendation of the intended program’s admission committee, the Graduate College will inform the applicant whether or not he/she is recommended for admission. Admission will be contingent on the Graduate College receiving official transcripts, test scores and other documentation by the posted deadline. It is important to note that the admission offer may be withdrawn if the applicant fails to submit official evidence of meeting the minimum admission criteria for the intended program or does not submit the remaining documents in a timely manner. The remaining required documents for admission decision are listed below under "Final Review". The departmental evaluation results in a recommendation to admit or reject the application. Before an official admission decision can be rendered, the following documents must be submitted prior to the general deadline. Transcripts: All applicants who have been offered admission are required to submit one official transcript(s)/mark sheet(s) of all academic record in a sealed envelope bearing a seal or signature to indicate its authenticity from each college or university attended. The documents must be sent from the issuing institution directly to the Graduate College office. International applicants who were asked to submit external evaluation of their transcripts must have the credential evaluation agency send the transcript evaluation directly to the Graduate College. Official graduate test scores as appropriate for intended program. Please request that the official testing service or agency sends your scores directly to The Graduate College, North Carolina A&T State University (school code GHD-4C-75 for GMAT/MBA, GHD-4C-85 for GMAT/Leadership Studies, and 5003 for GRE). The scores must be current (no more than five years old). International applicants are required to provide the University with verification that the required funds are available to support the proposed program of study. The applicant must also provide information regarding current visa status. Special forms to supply this information can be obtained from the Graduate College or by contacting the International Students and Scholars Office at 122 Murphy Hall, North Carolina A&T State University, Greensboro, NC 27411 or (336) 334-7551. Please see more information at International Students and Scholars Office. For applicants who have received an admission offer, The Graduate College will certify the original transcript(s), test scores and other required documentation. For students admitted based on an incomplete transcript, certification will also include verification of grades and GPA on the final transcript. If required documentation to allow The Graduate College to certify the credentials is not received prior to the start of the semester, the admission decision will be immediately rescinded and enrollment will be immediately cancelled. An admitted student may submit a written request to the Graduate College to defer admission to a future semester (Joint Masters in Social Work excluded). Admission deferrals may be requested for a maximum of one year. The Graduate College must approve this request. A student’s admission may be rescinded if the student does not enroll in the semester in which he/she received admission and does not receive approval of deferral. Deferrals executed after March 1st for fall semester or after October 1st for spring semester may result in limited class registration or failure to register for classes that fill early. Only newly admitted students are eligible to request deferral and should do so as far in advance of the deadline as possible. All documents submitted to the Graduate College will be retained and will not be returned to the applicant nor released to a third party.